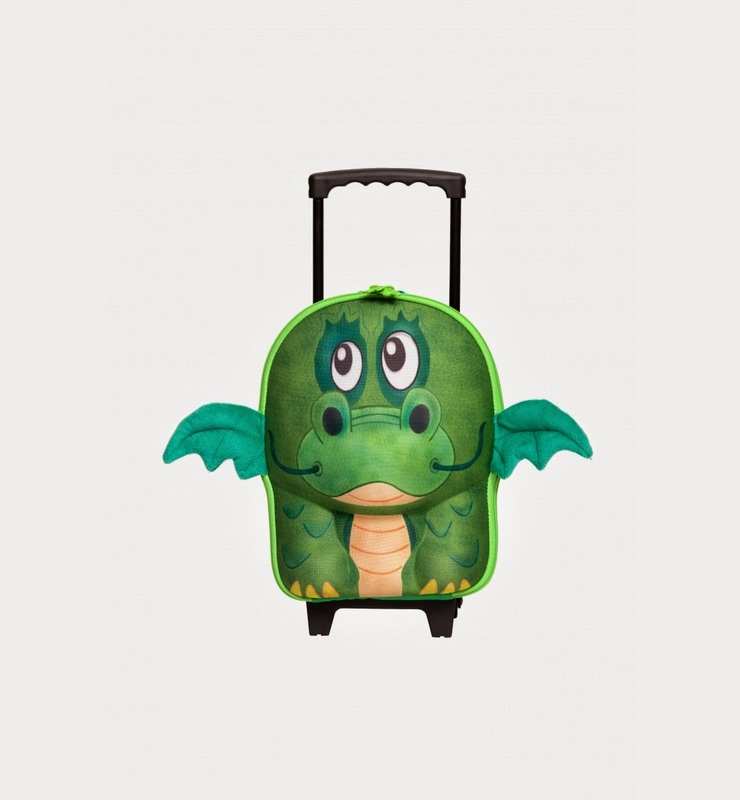 This past summer when we traveled to Myrtle Beach, SC I saw so many little children carrying around their own cute travel bags and pieces of kid-sized luggage. It brought me back to being a child myself and I too had a little suitcase that I used to fill up whenever we would go to my grandmother’s house. Then I thought, gee why don’t my own children have something like this? As they are growing older, I am starting to give them more responsibility, one being helping me carry bags. So, I set off to find them their own piece of luggage. With perfect timing, OkieDog asked me to review their Trolley for kids. This first thing the kids did when we opened up the box? Freak out over how darn cute this Dragon is! 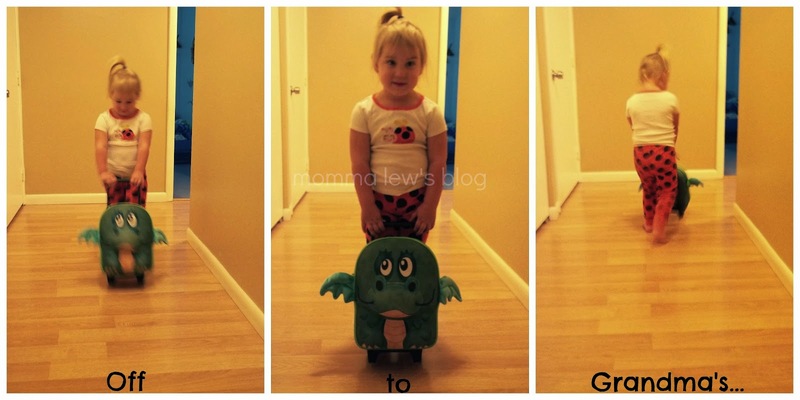 It’s the perfect size for children ages 2 through 6 and the wheels roll along with your child. Choose between the Dragon, Tiger, a Panda, an Elephant, a dog or a Rabbit! It’s the perfect bag for any short travelling you may be doing, a sleepover at a friend or relative’s house or even would be great to use as a school book bag! 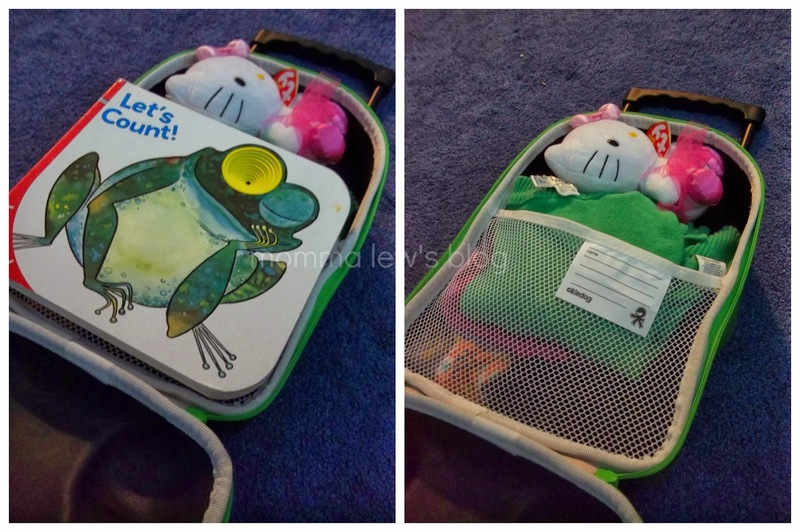 There’s plenty of room, as we packed 2 pairs of pajamas, 2 outfits, a toy and a book. There was still enough room on top for a pair of shoes. It’s fun to let the kids have a little responsibility in having a place to pack up their belongings. All of OkieDog’s bags are PVC, Phthalate, AZO and BPA free, so they are nothing but safe for you and your children to use. OkieDog is a small, independent company that works to create products that help to make families’ lives fun and convenient. Their motto is very similar to my philosophy here at Momma Lew’s Blog. Their other products include stylish nappy bags, accessories bags, stroller accessories and kids’ backpacks and toys. 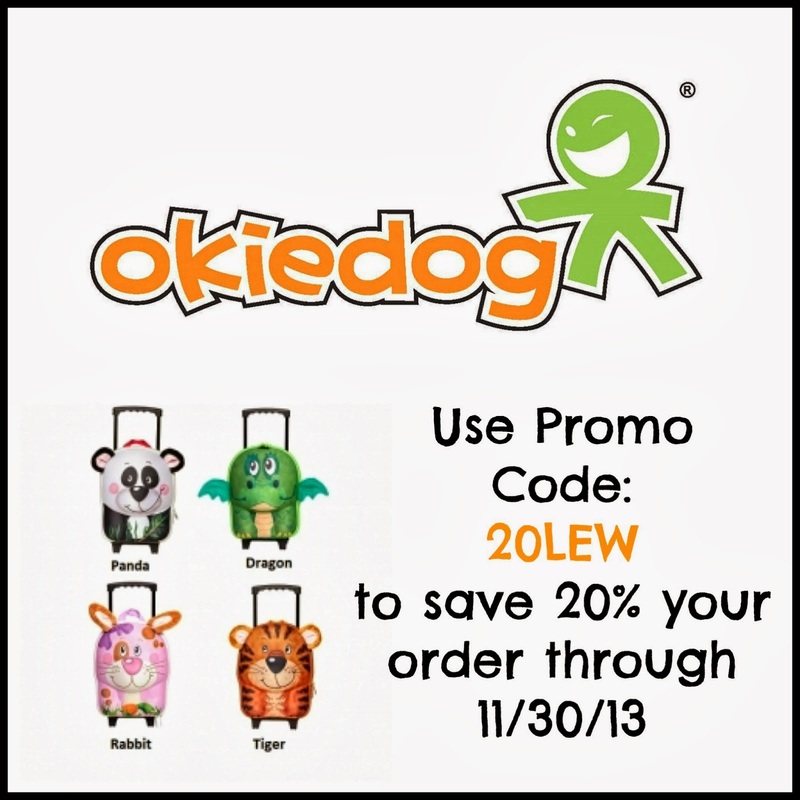 OkieDog would like to offer Momma Lew’s Blog 20% off their purchases through November 30, 2013!